For the last 7 months, Stephen Menendian has been toiling away in his Magic laboratory on a concoction that is certain to shake up Legacy. In this article, Stephen reinvents Doomsday in Legacy, just as he has in Vintage. Focused determination and meticulous refinement have produced a decklist and a deck approach that will blow your mind. Stephen’s Legacy Doomsday deck overcomes many of the problems that traditional Legacy Doomsday decks face. 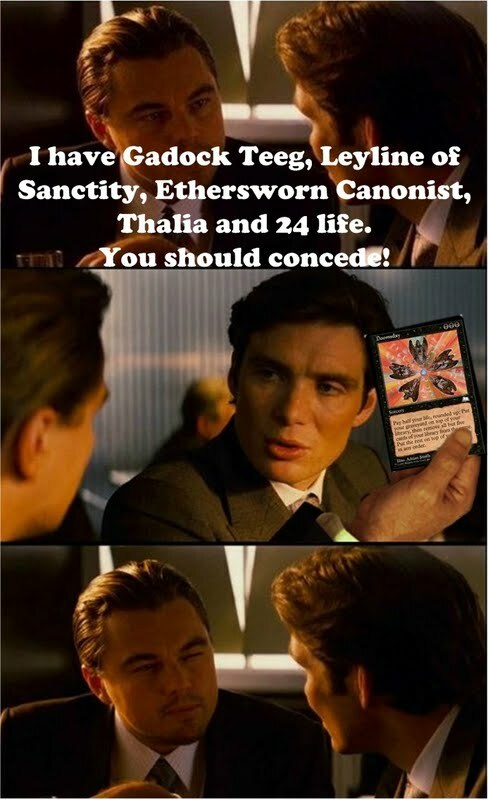 It not only runs more countermagic than nearly every other deck in the format, but it is completely invulnerable to storm hate, Gaddock Teeg, Arcane Laboratory effects, and Leyline of Sanctity. It is blisteringly fast and savagely brutal. This 33 page primer will provide all of the tips, tricks, and advice you need to learn how to play this monster, and will provide the 12 basic Doomsday scenarios you must master. If you buy any article this year, this should be it! Doomsday is among the coolest Magic strategies ever. Vintage players, like myself, adore Doomsday, and have for many years. Legacy players, and especially a cabal of combo players, have grown equally fond of Doomsday. Legacy Dark Ritual players want to be the coolest kid in the room, and let’s be honest, they are. Doomsday players are the true magicians of Magic. They are the David Copperfields and David Blaines. They bewilder their opponents with a mastery of the format and complex formulas that most can’t wrap their heads around. When Laboratory Maniac was spoiled, I gushed about its potential as a Doomsday win condition in my Innistrad set review. Within a week of testing, it became clear that I had created a deck that Brian Demars said “broke the format,” which I used to Top 8 one of America’s marquis Vintage events, the Waterbury. 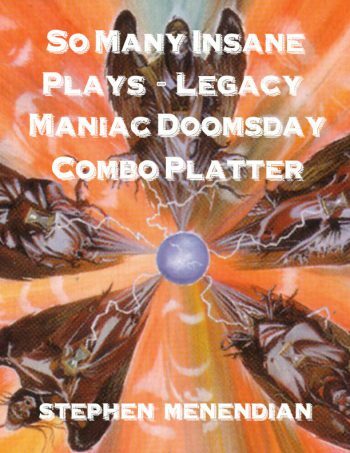 To this day, my Vintage Doomsday deck is one of the most interesting and popular specialty decks in the format. What is not known, however, is that during that time I have been secretly working on a Legacy build as well. It’s taken literally months of testing and tuning to develop. Allow me to blow your mind. I’m pleased to introduce…Meandeck Doomsday. Editor’s Note: Since the initial publication of this article Stephen unleashed this deck at the StarCityGames Columbus Legacy Open last weekend, and has written a supplement to the Legacy Doomsday Device Primer. The supplement has already been emailed out to all customers who purchased the primer, and the supplement has been added as an addendum to the Primer for all new customers who have not yet purchased this exciting work. If you haven’t already purchased the Primer, you can now grab the newly updated version 1.1 of the Primer (and Supplement) below! You can also find a feature match of Stephen playing the deck at StarCityGames Ohio Legacy Open above.